Razorleaf and Razorleaf Government Solutions will be co-exhibiting at the upcoming AeroDef Manufacturing show at Long Beach Convention Center! Our team of experts, including Jonathan Scott, Derek Neiding, Sean McAuley and Steve Nichols will be on hand to talk about some of the most challenging issues happening in A&D. Razorleaf’s sister company, Razorleaf Government Solutions, participated in a 3D Data Exchange project with the Navy. Together they developed a system that significantly reduced the amount of time and resources required to create/verify/validate technical data, resulting in an estimated cost savings of $10.8 million annually. I find that when I talk with most people about Model Based Enterprise (MBE), their mind immediately shifts to Model Based Design/Definition. This is natural, because most people equate the concept of ‘model based’ with the transition from 2D drawings to 3D models. 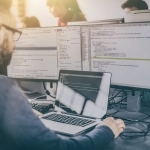 For those involved in either a new deployment or in the process of going through a large upgrade, it may be challenging to know for sure, what environment is being used. In this article, we’ll share how the 3DEXPERIENCE Platform can be configured to remove this ambiguity. 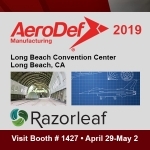 Additive Manufacturing (AM) is a hot topic in the engineering, manufacturing, and product development worlds right now. People are excited about it for many reasons, and there is no doubt that it will be disruptive to the way products are ordered, designed, produced, and distributed. But what does AM mean to your PLM strategy? This past August I attended my first Autodesk Accelerate conference, and I can certainly say it was the best technical conference I have been to in years. Accelerate, over the years, has evolved rapidly. The same can be said for Autodesk’s PLM messaging. When Autodesk first held the event, the speakers were mainly Autodesk employees, partners, or paid analysts discussing how Autodesk now had a PLM offering.